Some major retailers aren't waiting another two weeks to unveil their Black Friday deals, offering special pricing on many popular products this weekend. Target, Best Buy, and Sam's Club are among the retailers hoping to keep up with Amazon, which began rolling out daily deal's at the beginning of the month. Target is looking to families playing host this Thanksgiving with 25 percent markdowns on name brand appliances like KitchenAid and Cuisinart, while Best Buy and Sam’s Club are cutting prices on mobile devices and TVs. Sam's Club markdowns will be this weekend only. 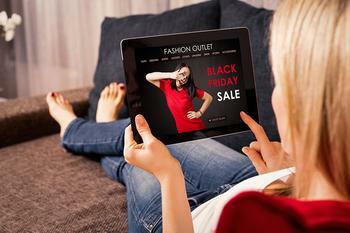 Phil Dengler, principal at BestBlackFriday.com, says retailers may feel pressured to keep up with Amazon, which launched its daily "Countdown to Black Friday" Promotion November 1. "While other stores are holding pre-Black Friday events, they are largely being ignored compared to the press Amazon is receiving," Dengler told ConsumerAffairs. Amazon has rolled out a new "deal of the day" each day this month. Dengler says Amazon is also taking advantage of the trend of more holiday sales shifting to online and away from brick and mortar stores. "With Amazon being such a big player, online is going to remain a significant factor this year, but the in-store doorbuster is not dead yet," he said. "For example, Target has a great deal on a 55-inch 4K HDTV for only $249.99 this year, and it is not available online." But there is no question there will be more deals available online this year. Forrester analyst Fiona Swerdlow predicts that online holiday sales will grow 17 percent this year and will make up around 25 percent of U.S. ecommerce sales for the entire year. "Digital business executives at retailers and brands are optimizing every part of the shopping journey to win, serve, and retain empowered customers during this short make-or-break revenue period," she writes. The Consumer Technology Association (CTA) has published a survey showing 61 percent of consumers will use their smartphones to do some of their holiday shopping. Steve Koenig, senior director of market research, CTA, calls it a "seismic shift" in the way consumers are shopping for holiday gifts.